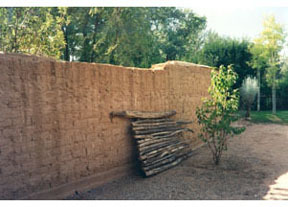 Adobe wall after removal of hard plaster. 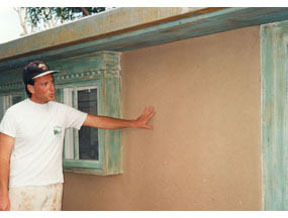 The most vulnerable parts of a mud wall are the top and the base. 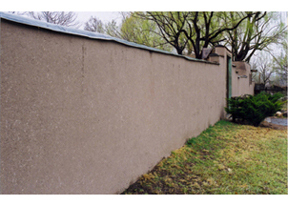 In this case Crocker Ltd installed copper caps to protect the horizontal surface. 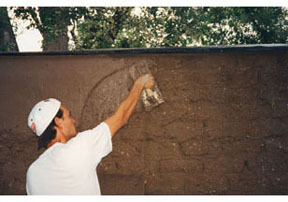 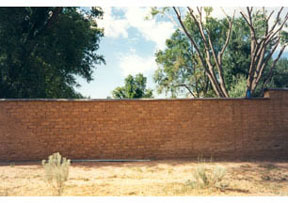 Application of traditional mud plaster. 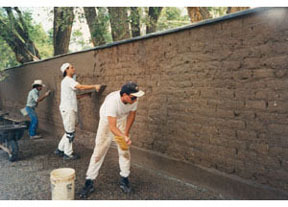 The work performed by Crocker Ltd was covered by a ten-year warranty. 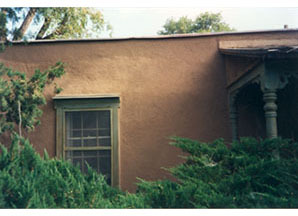 The exterior walls after 7 years.